To provide our customers lasting photographic memories by offering superior quality and exceptional customer service that is second to none. Since 1986 Pro-Tek Photography, Inc. has had a strong presence in the Photography Industry in Central Indiana. 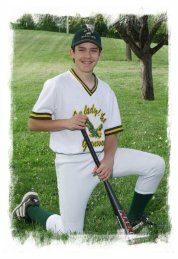 Pro-Tek Photography, Inc. is Indiana�s Premier Youth Event and Sports Photographer and offers a wide range of photographic services with confidence. Our specialty is �POSED AND GROUP� Photography for all types of youth events. With our �ACTION� Photography division, you will be placed in the �front row� of your child�s event while you sit back, relax and enjoy! Our staff is comprised of photographers, photographer�s assistants and sales associates that truly enjoy working with children and families. 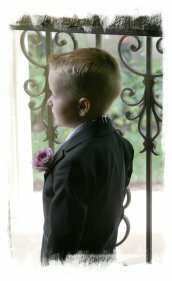 Our photographers are extensively trained to bring out the best in each child. Our focus is to provide our customers with the type of quality and customer service they deserve, by doing this it is our hope that we will become a �trusted vendor� and be asked to return year after year. We have specialized working with each event�s representative, organizing picture day, before, during, and after the event to achieve the superior service that we guarantee. We will partner with you and your event in your fundraising efforts, by returning a generous donation from our sales to you. Picture packages are returned to your event within 3 weeks. Participants will have their photos packaged individually within their own team bag labeled with team information. This makes for easy distribution by event coordinators. No assembling or sorting will need to be done by any event. *Our newest option of mailing each player his or her picture package is our most popular option. Mailing directly to each player eliminates the responsibility of the event and it�s coordinators. This option frees up event representatives to be more productive with their other responsibilities. We take care of everything for you! When selecting Pro-Tek Photography, you will note the emphasis on family. We are a family owned and operated business, with no affiliation to a franchise. We treat our customers, as we would like to be treated by a vendor. Each person employed by Pro-Tek Photography is extremely respectful of these values and it shows! We look forward to being a part of your event now or in the future. Please contact us anytime with your questions, comments or concerns.